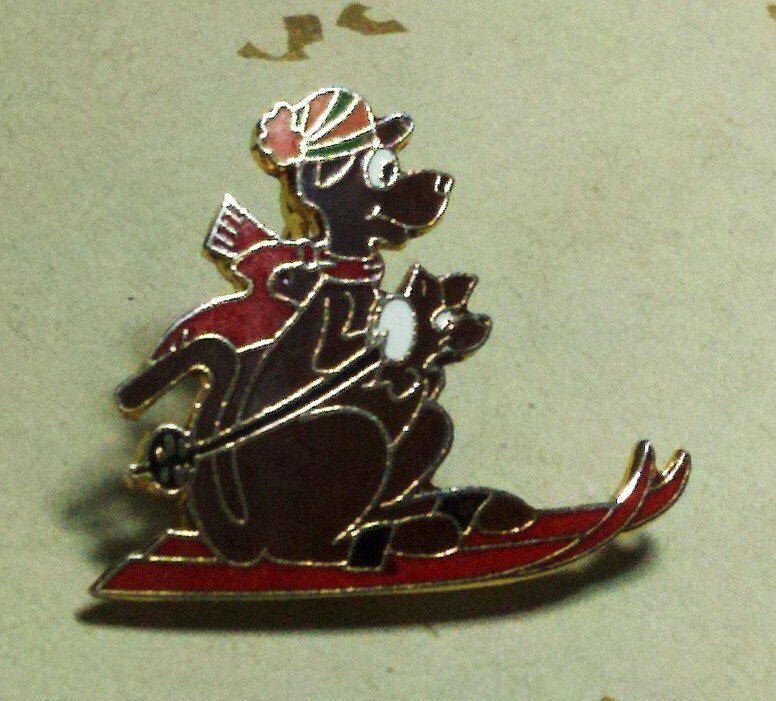 Kangaroo skier brooch, enamel cloisonne kangaroo skier lapel pin brooch. 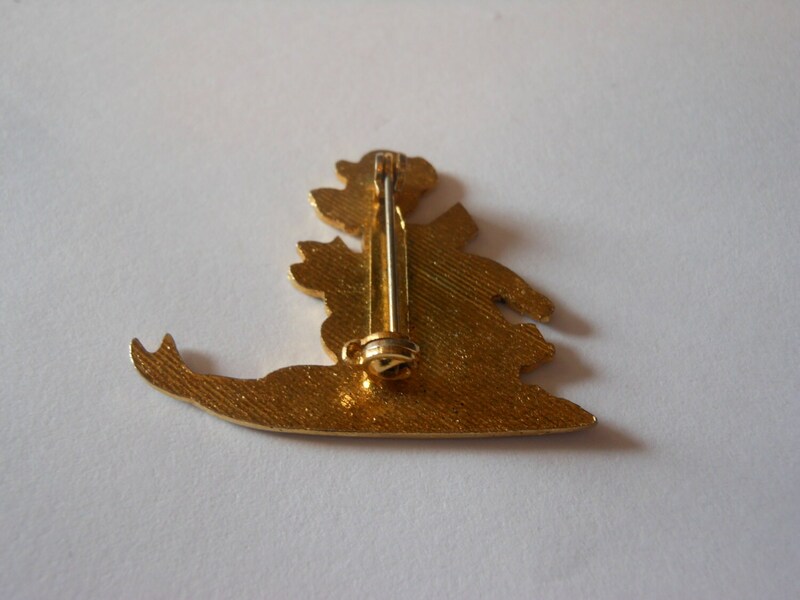 Put this on you coat or scarf and you're ready to hit the slopes! The length is 1" (3 cm) and the skis measure 1 1/2" (4 cm). In very good condition.